Don't be fooled by the look of it, this food is great! After Franny’s cancer was diagnosed I started to think more about providing her with the best nutrition I could in order to keep her body running well until the end. Since I took her as a foster dog her stool had been overly soft and frequent. She was eating a high quality dry kibble and a bit of wet dog food formulated for senior dogs with which I could make some medication meatballs. 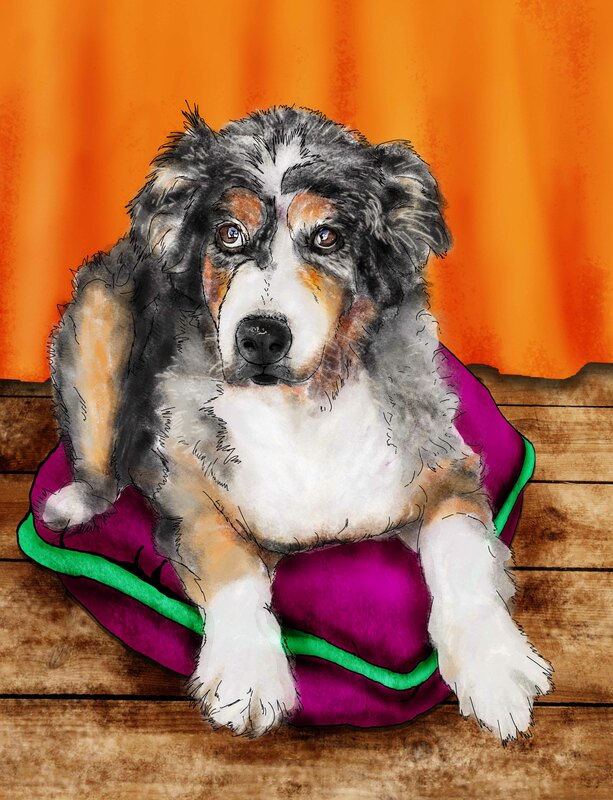 Then one day, after a visit to Muttville headquarters, Anne Lauck sent us home with a bag full of free samples from The Honest Kitchen. I began making the switch that evening – mixing some of the dry kibble with the dehydrated food so as not to agitate her stomach. She loved it! 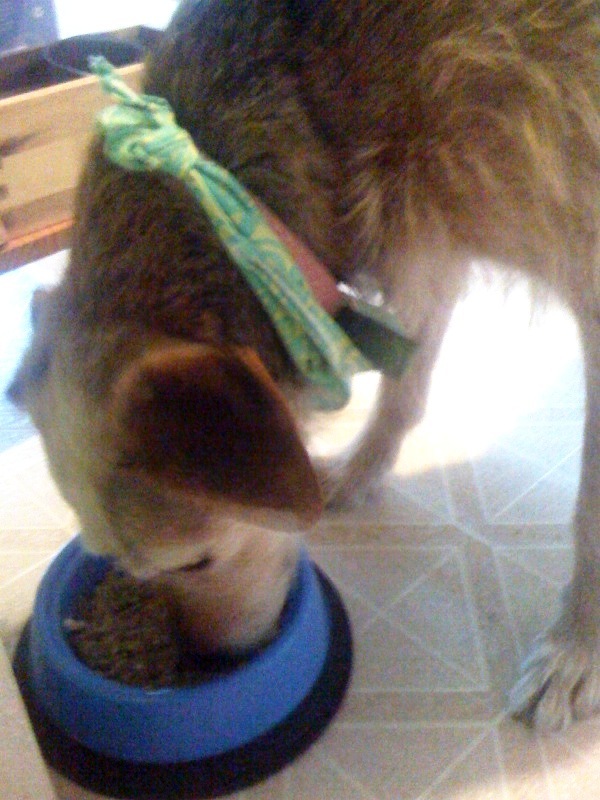 With the dry kibble, she would eat half and leave the rest for later; the dehydrated food was literally gone in seconds. Within 48 hours, Franny’s stool was completely solid, healthy, and less frequent. The food – which combines human-grade quality meat, veggies, fruits, gluten-free grain, and vitamins – is gentle enough that we can continue to use it, even as her stomach cancer becomes more severe, by mixing it increasingly with white rice, cottage cheese, and boiled chicken. If your dog is older or sick, give The Honest Kitchen a try. It comes in several different varieties and is available at Pet Food Express in the Bay Area (among other locations) and online at www.thehonestkitchen.com.